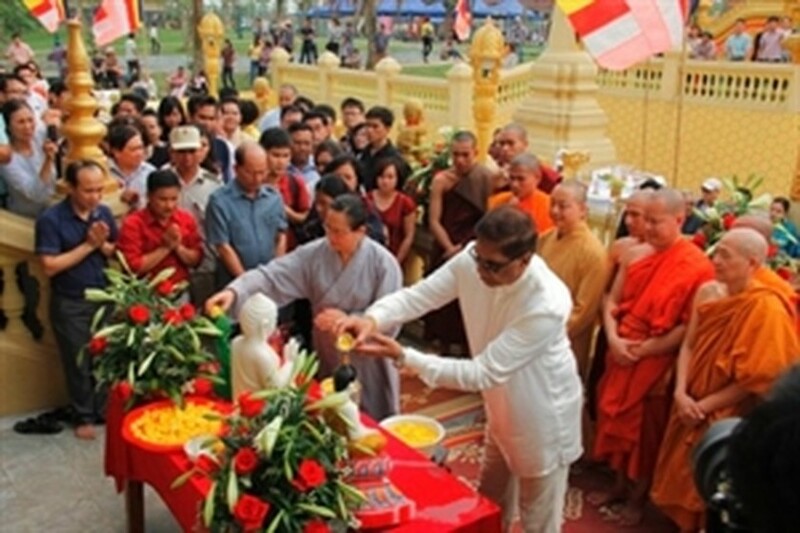 The traditional Chol Chnam Thmay Festival of the Khmer people is being celebrated at the Khmer pagoda complex in the Culture-Tourism Village of Vietnamese ethnic groups in Dong Mo, Hanoi starting on April 14. Event participants include representatives from the embassies of Sri Lanka, Myanmar, Laos, Thailand and Cambodia. Monks and Buddhist followers are also in attendance. The festival is taking place in the village through to April 16. A Buddha procession and bathing ceremony will be staged alongside rituals to welcome the God overseeing the New Year. During the festival, which usually falls in mid-April, the Khmer people partake in various games and fairy tale storytelling and wish each other good health and prosperity.